Well desired 'LIONS PARK' built by Polygon, located right in the heart of Richmond. 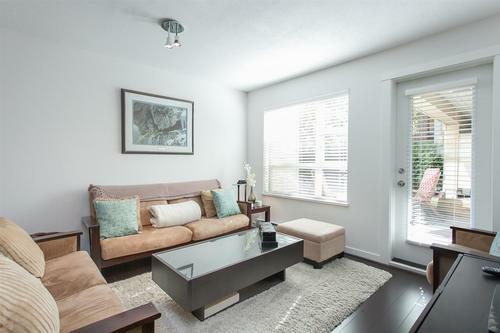 Walking distance to Lansdowne mall, Canada Line, Restaurants & Kwantlen College. A private ground level unit w/ 2 spacious bedrooms. 2 full bathrooms & den. A functional floorplan & large patio to enjoy BBQ's w/ family & friends. Open layout kitchen w/ granite countertops & gas stove. Master bedroom w/ walk-in closet & large ensuite w/ his & her sinks. INNER UNIT FACING QUIET COURTYARD. BONUS: 2 secured underbuilding parking stalls & x-large storage locker included. Having out of town guests over? Guest suites also available for cheap! Amenities include a gym, pool table, dance/yoga studio, outdoor pool/hot tub, lounge, theater & onsite caretaker. Go to www.lionsparkcondo-richmond.com for more information. Please call me anytime on my direct line at 604.760.0207 to book a private showing!